Royalty. Swords. Passion. Wizardry. Sagas. 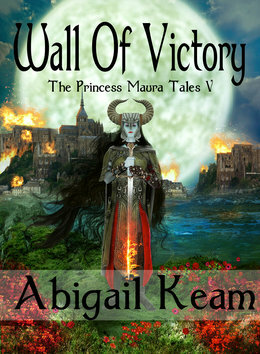 Book 5 of The Princess Maura Tales—a five-book saga. Empress Maura is now leader of Bhuttan and Hasan Daeg. All that remains is to capture the rebel stronghold of Bhuttani, controlled by the traitor Mikkotto who seeks to become queen of Hasan Daeg and Jezra, Dorak’s first wife, who covets the title of king for her son. Aga Dorak and Empress Gitar of the Dinii are assumed to be dead. However, they are locked in another dimension due to an enchantment and cannot escape. The evil wizard Black Cacodemon, is a fellow prisoner in this netherworld as well. Maura, convinced Dorak and Gitar have not perished, has dispatched an unlikely duo to find and rescue them––her spymaster KiKu, royal scribe Timon who team with a streetwise urchin named Akela. Empress Maura leads an army against the city of Bhuttani in the ultimate battle for survival. But the city walls will not fall, and the gates will not buckle. Maura is determined that Bhuttani must fall into her hands before her troops rebel. Will Maura finally sit on the Bhuttanian throne in the Imperial Palace? Or will victory be snatched away by means of magic? Will she find Dorak and reunite with her great love? Or will Maura have to kill him? The fate of the Kaseri hinges on the outcome!